. "Alfred Fisher". The Canadian Encyclopedia, 12 July 2016, Historica Canada. https://www.thecanadianencyclopedia.ca/en/article/alfred-fisher-emc. Accessed 23 April 2019. Alfred (Joel) Fisher. Composer, pianist, teacher, b Boston 30 Jun 1942, naturalized Canadian 1974; B MUS (Boston) 1968, M MUS (Michigan State) 1967, PH D (Michigan State) 1976. Alfred (Joel) Fisher. Composer, pianist, teacher, b Boston 30 Jun 1942, naturalized Canadian 1974; B MUS (Boston) 1968, M MUS (Michigan State) 1967, PH D (Michigan State) 1976. He studied piano with Alfred Kanwischer and Pierre Luboshutz, composition with George Crumb, Douglas Moore, John Pozdro, and H. Owen Reed, and musicology with Hans Nathan. He taught 1965-8 at Michigan State U, 1969-72 at the University of Western Ontario, 1972-3 at the University of Saskatchewan, and 1973-8 at Acadia University. In 1978 he became chairman of the theory and composition division at the University of Alberta. He was associate chairman 1984-5 of the Dept of Music at the University of Alberta and chairman 1986-9. Fisher has written works for the Radio Telefis Eireann Symphony (Elegiac Variations,), NOVA MUSIC (The Owl at Dusk), the International Suzuki Association (Peace Variations), the S.C. Eckhardt-Gramatté Competition (The Nameless Dances) and the CBC (Diary of a War Artist, inspired by the war art of Alex Colville), among others. 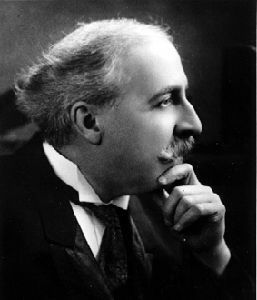 Many of his compositions have been broadcast by CBC radio. Fisher is the founder and director of PING, the University of Alberta New Music Improvisational Ensemble. He is also an accompanist and conductor at the university. In March 1989 he was the soloist in a performance of Bach's Concerto in F minor. He is an associate of the Canadian Music Centre and a member of the CLComp.